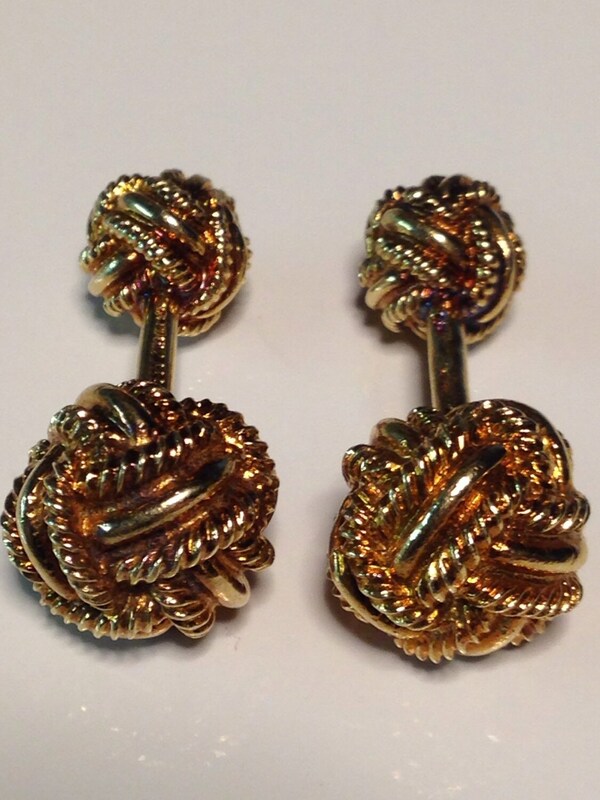 Offered here is a pair of 18 KT gold woven knot barbell cufflinks by Tiffany & Co. Schlumberger, ca. 1975. This classic and enduring design has been offered for sale by Tiffany & Co. for decades and for good reason. 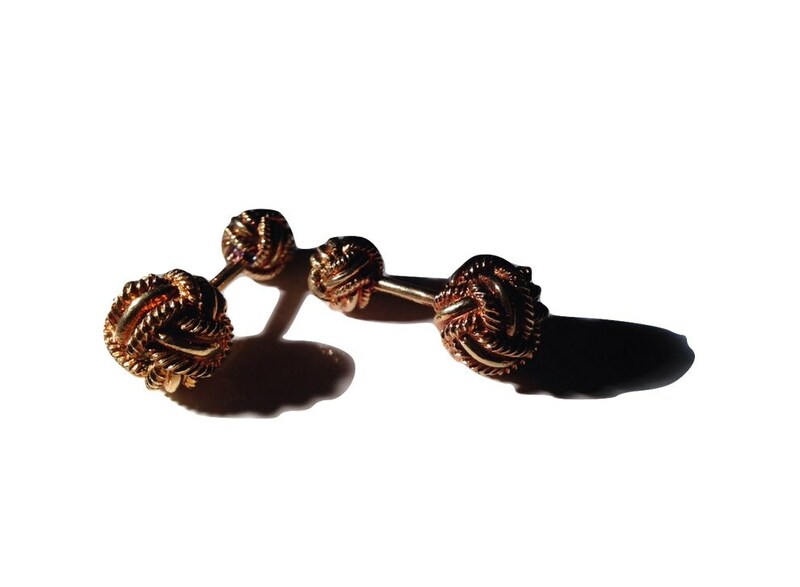 The elegant woven knot is simply timeless. These have a soft brushed finish on the precise 12.75mm (0.5") ball and on the 9.0mm (1/3") ball. Length is 26.55mm (1.0"). Each is stamped Tiffany, Schlumberger, and 18K. Weight of 15.7 grams. Condition is good with very minor signs of wear commensurate with age and use. 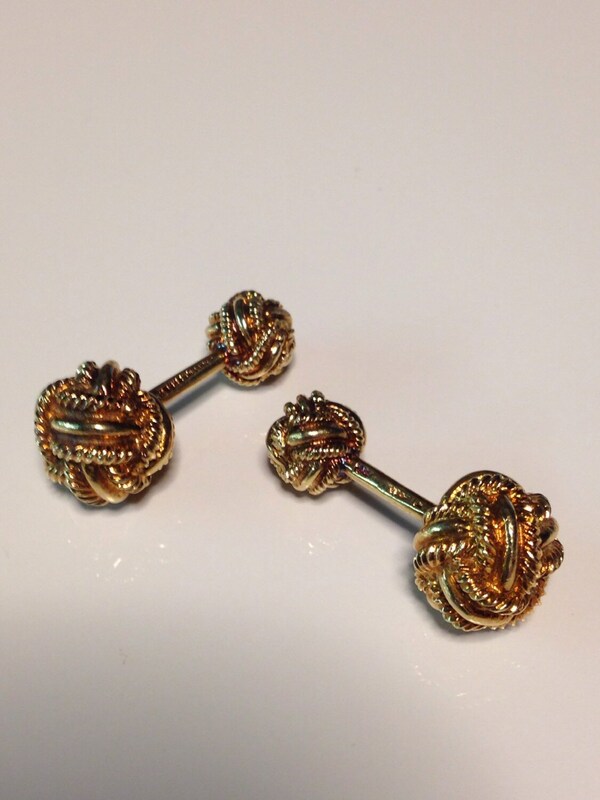 This pair has a desirable patina in the form of a richer gold color (if for some reason you prefer the bright yellow new look, we can of course polish them at your request). 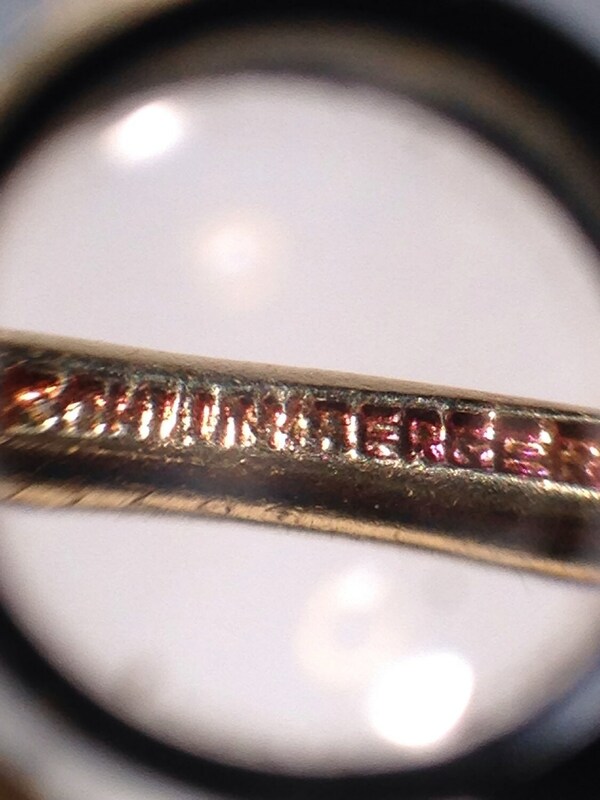 The attention to detail in the earlier Schlumberger knots is said to be better than in the current line. 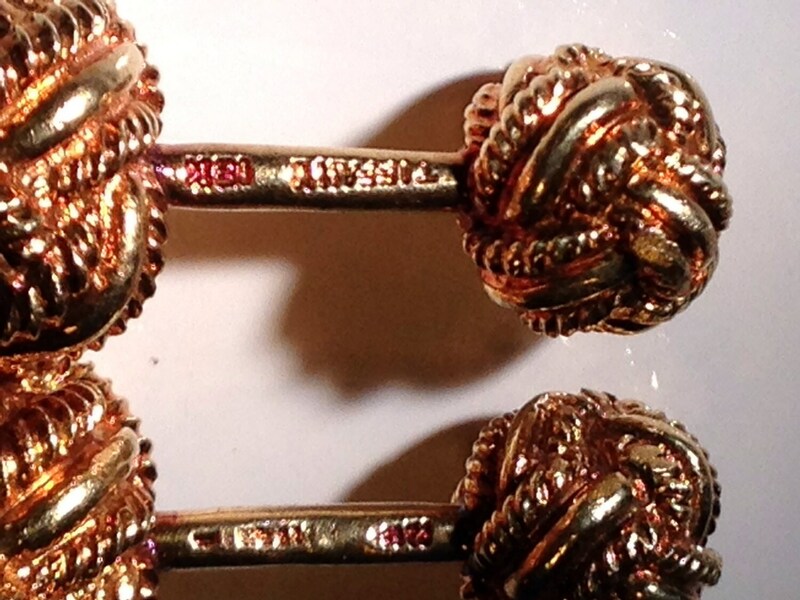 These cufflinks have been authenticated by a third party Tiffany & Co. expert. Authenticity is fully guaranteed and warranted.